We were generously hosted by representatives from AMPI, whose Spanish acronym means the Association of Mexican Real Estate Professionals, the sister organization to our National Association of Realtors. We we chauffeured around town and to events, we dined in exclusive gourmet restaurants, and toured some of the most exciting new developments that we’ve highlighted below. Most importantly though, we were treated to presentations and discussions about the Mexican real estate market and legal framework by local leaders in the business. Although there are differences compared to the Texas market, some truths are universal: location, market knowledge, accountability, integrity, respect. These were the themes emphasized by our Mexican colleagues, and we couldn’t agree more. Mexico is a country in transition, and it would be a mistake to think this country is nothing more than it’s lurid headlines. Millions of Mexicans are ready to fully participate in the global economy and they have the money and know-how to make it happen. If you would like more information about the investment (or vacation home) possibilities in Mexico, don’t hesitate to contact us. Current exchange rates are extremely favorable to the American investor right now. You just might find Mexico as exciting and welcoming as we did. Take a look at some of the properties we toured with our AMPI colleagues. First is High Park, a luxury mixed use condo development in San Pedro Garza Garcia, one of the wealthiest municipalities in Latin America and a Monterrey suburb. Almost every unit is unique, and each offers privacy and dramatic views of the mountains. On the first floor are a few of the highest end restaurants in the city, including el Capuleto, a fantastic and intimate Italian restaurant. 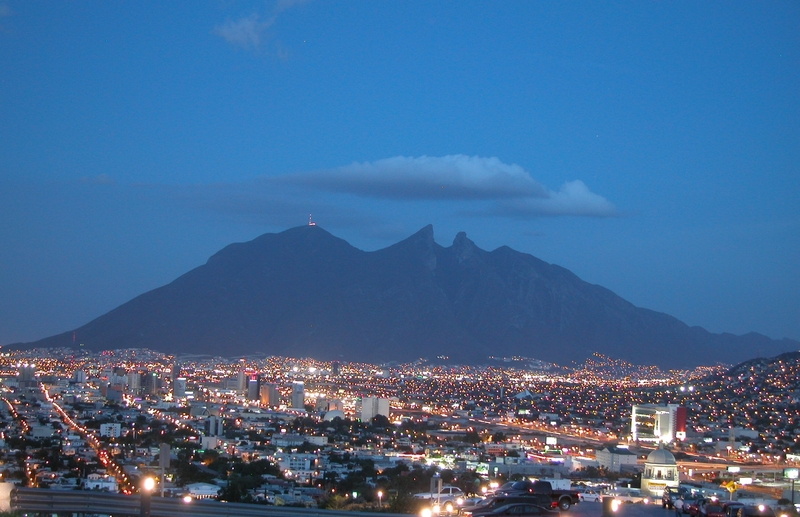 Another exciting new property is Pabellon M in Monterrey. Located downtown on Avenida Constitucion, arguably the most important thoroughfare in the State of Nuevo Leon, this development includes hotel, office, and convention space in a jaw-dropping modern design. The large egg shaped structure is a 4,500 seat auditorium with superior acoustics. If you are interested in world-class office space in the 50 story tall tower, let us know. The views alone are worth it! We will continue our commitment to international real estate. We are dedicated to retaining the most international savvy agents. If you have international real estate needs, here or abroad, we have the knowledge and tools to give you unsurpassed service.